According to the BBC, an old British Mk 9 topedo was found floating in the English Channel off Beachy Head by a fisherman. A tag attached to the torpedo documents the year 1955 as the last time it was serviced. 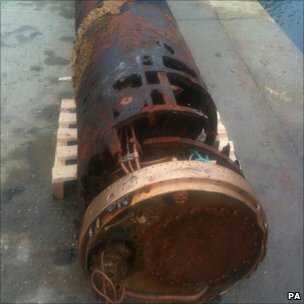 It was hinted at by the bomb disposal team that it was a practice torpedo, and it's explosive charge had corroded off and was at the bottom of the channel. The Mk 9 was principally a surface ship torpedo used onboard cruisers and destroyers. A similar torpedo, the Mk 8, was the most successful British torpedo of WW2, fitted to submarines, and was last used in the Falklands War. During that war, the captain of the nuclear powered submarine HMS Conqueror sighted the General Belgrano, an ex US light cruiser now a part of the Argentine Navy. To engage the ship, the Conqueror could have used the Mk 24 Tigerfish torpedo, an accoustic homing wire guided last word in the torpedo world torpedo or use an old relic from WW2, the Mk 8. The Mk 8 was chosen and down went the ship. To be fair, the Mk 24 at the time was an abject failure. The Royal Navy couldn't hit the broad side of a barn ship with it, and it's reliability was so bad they even entertained the notion of hanging a nuclear warhead on it to be able to sink something. 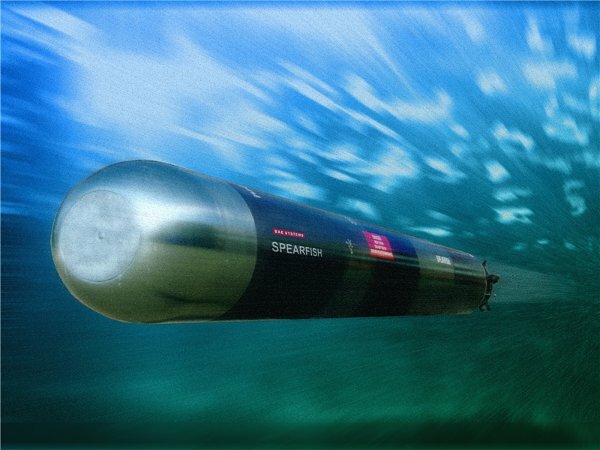 Things are better now, and the British Navy uses the Spearfish torpedo, built by BAE, which weighs 2 tons, and boasts high speed, deep diving, and can autonomously choose what to do enroute (now that part is scary! ).